At Nortree we take great consideration in selecting the finest quality cars from a variety of different manufacturers. All our vehicles are presented to the highest standards and are subject to rigorous checks by our skilled technicians for your peace of mind. 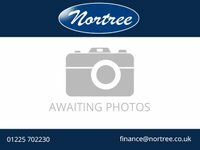 Nortree Motors was founded by Trevor Phillips and Norman Whittaker over 60 years ago and is Melksham's longest-established motor dealership. The company progressed to the Beanacre site from the Market Place where Trevor's son Michael and Grandsons Daniel, Edward and Ben continue to offer the same high level of family service.